The School of Communication’s acclaimed film, One Water, is an evolving, interactive examination of the global water challenge. As early as 2002, the University of Miami’s School of Communication began working on the One Water project, a collaborative effort with communities and journalists to bring attention to the world’s global water challenge. In some parts of the world, water is plentiful. In others, not at all. It’s a commodity and resource needed for survival, and the visual messages sprinkled throughout the One Water films are poignant and emotional. Scientists agree that one of the impacts of our changing climate will be an increase in more severe weather events—from more powerful hurricanes to crushing droughts. Climate change is likely to mean exacerbating local conditions—hot and dry places will become hotter and drier, wet areas will become wetter. Managing resources will be crucial. With generous funding from the John S. and James L. Knight Foundation, School of Communication faculty Sanjeev Chatterjee, Joseph B. Treaster, Ed Talavera, Ali Habashi and Jeffrey Stern collaborated with the College of Engineering and the Frost School of Music, including composer Thomas M. Sleeper, to create a visually and emotionally striking film that has evolved over time to be a feature film narrated by former UM President Donna E. Shalala and a television film narrated by Martin Sheen which debuted on Planet Green. 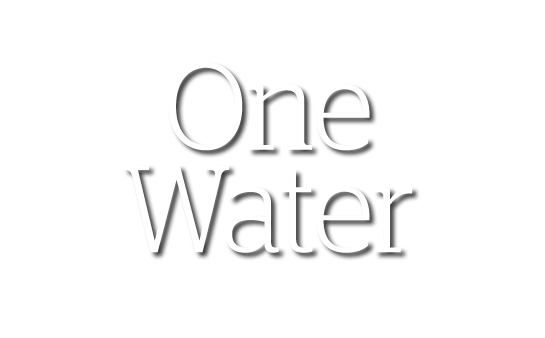 One Water is a collaborative project between the School of Communication, College of Engineering and the Frost School of Music bringing attention to the global water problem.